Webinar recordings can be found here. Find older videos from previous UN conferences and prior versions of our simulations here. MIT’s John Sterman explores questions on the future of climate efforts and what we can do to build a safer, sustainable world. He demonstrates how interactive tools are being used by political leaders, policymakers, and members of the public around the world to build shared understanding of climate change and the task before us. This video presents scenarios from the C-ROADS simulation and explores how far the Paris contributions get us, and what more is needed to keep warming to within 2° Celsius (3.6°F) of temperature change above pre-industrial levels. Read more about the analysis in this blog post. John Sterman’s analysis begins at 36:16. Download the slides here (ppt). John Sterman of MIT talks about how the climate deal that came out of COP21 is a major step forward, and why it does not go far enough. What is the state of the global climate deal? This video explains The Climate Scoreboard, our embeddable widget that reports global temperature change in 2100 based on the proposals to the United Nations to address climate change. Click here for more information. A video walkthrough of the World Climate Exercise can be found here. More World Climate videos can be found here. Watch Drew Jones give a 1 minute introduction to the World Climate Simulation. With this 360° video, you can move your phone around (if you’re watching on mobile) to see the whole scene, or click and drag to see more of the room if you’re watching on a computer. Professor Juliette Rooney-Varga explains techniques for running World Climate. World Climate in Spanish at the Escuela Nacional de Estudios Superiores – Universidad Nacional Autónoma de México, Morelia, Michoacan, Mexico. Click here for a series of video tutorials of C-ROADS. Simulating Climate Hope at TEDx. Click here for background info. 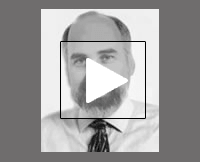 In this podcast, John Sterman explains how C-ROADS empowers policymakers to quickly and effectively evaluate climate proposals. Short overview video of the World Energy exercise led by Climate Interactive’s Drew Jones for Stanford graduate students. More videos of similar simulations available here. Video of the Drew Jones introducing the World Energy Exercise to a group of participants. 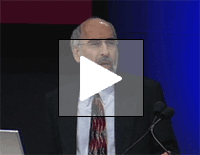 John Sterman of MIT talks about the motivation for En-ROADS and leads the audience through creating an emissions reduction scenario in real time. Climate Interactive co-director Drew Jones interactively leads an audience at the Smithsonian National Museum of Natural History through creating a scenario with an early version of the En-ROADS simulator. He was joined by Bethany Patten of the MIT Sloan Sustainability Initiative. Beth Sawin presents “The Power of Multisolving for People and Climate” at TEDx Sun Valley, in Sun Valley, Idaho. After introducing multisolving, Beth takes the audience on a journey through the actions that are needed to protect the climate, showing how those actions could improve health, equity, and well-being at the same time. But how does one multisolve, exactly? Beth gives examples of people multisolving all around the world and explains how we each can do the same. FLOWER is a simple tool for analyzing, comparing, and evaluating policies and projects. It helps determine the project’s potential for achieving multiple benefits (known as “multisolving“) and the extent to which the project addresses equity. This video exploring the dynamics of community investment and displacement, made with input from the Just Growth Circle and the Partnership for Southern Equity. 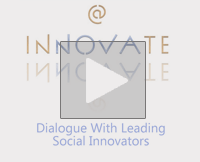 In this video, Beth Sawin explains the concept of Multisolving, or the search for systemic solutions that protect the climate while also improving health, equality, and well-being. Recorded in Paris during the COP21 climate negotiations, Beth discusses the potential of Multisolving to address several problems at once, and the impact of Multisolving on the Paris climate talks. Climate Interactive partner and Director of University of Massachusetts Lowell Climate Change Initiative Dr. Juliette Rooney-Varga demonstrates how systems thinking can help us better understand climate change. Climate Interactive member and MIT Professor John Sterman on the implications of big data and simulation models for climate change action. His portion of the video begins at 7:30. Drew Jones discusses using models to communicate sustainability for the Blue Ridge Sustainability Institute in Asheville, North Carolina, USA. The story of one family’s efforts to reduce their carbon footprint and energy use, plus a systems thinking perspective on how one family’s actions can matter. Drew Jones on carrying our trash and simulating the climate. (Here is Dana Meadows’ column on the same “Carry Your Trash” experience). Drew Jones of Climate Interactive introduces Climate Pathways, a free app for the iPhone and iPad that compresses a climate model into a mobile device. Drew Jones explaining the climate bathtub simulation. Climate Interactive partner and Director of UMass Lowell Climate Change Initiative Dr. Juliette Rooney-Varga explains the importance of integrating climate change into biology education and shares an effective way to teach about climate change. John Sterman of the Climate Interactive team speaking at IBM’s Almaden Institute on how the solution to climate change will look much more like the civil rights movement than the Manhattan Project. Drew Jones presenting to a crowd at the “350 Day of Action” rally in Asheville, North Carolina USA, October 2009. Exploring: What are we learning as we respond to the threat and reality of climate change?